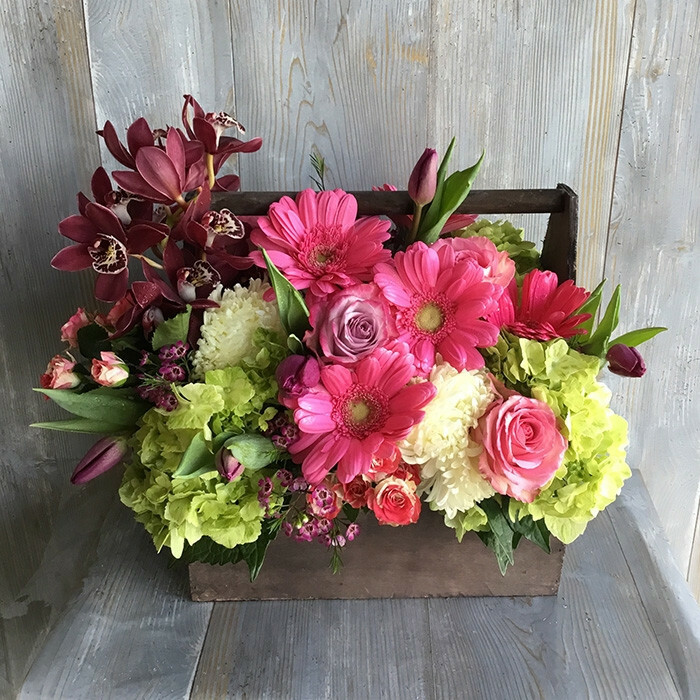 compact design in a basket with gerbera daisies, hot pink roses and lisianthus. This merry bouquet is thriving in beauty. It can be used in various ways. Exposing a romantic or lovely sensation; a warm gesture, it is a prime example of the positive connotation attached to this bouquet. The alluring scent of coffee brewing in the morning, the smell of oatmeal cookies in the oven, and the tasteful zest of perfume can all be reminded by its abloom flowering.